It's alllllmost Christmas and I have been taking advantage of the season in my makeup routine as much as possible. Of course, it's standard fare to have red lips and a little sparkle, but I punched up the look with orange undertones and a braided twist! Bending the rules a little will make you stand out from the crowd so it's always exciting to try something a little different, am I right? My real focus for this look was to create something that is quick and easy to follow but has a big impact in the end. 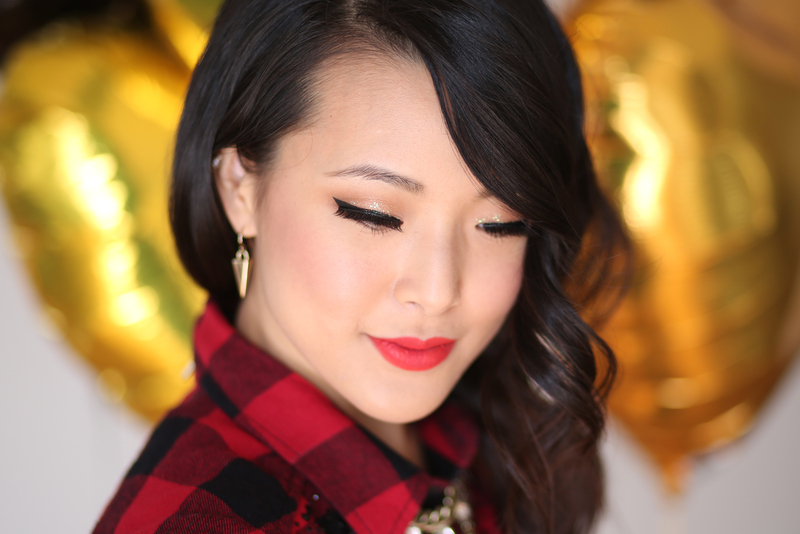 The key points are an easy glittery eye and iconic red lips which screams holiday. Because this focuses mostly on a soft, neutral palette for the eyes I wanted a really bold statement lip. Deviating from the traditional deep red, I opted instead for a hot-orange Urban Decay Bang lip pencil (a current everyday go-to) underneath NYX's classic Soft Matte Lip Cream in Amsterdam. 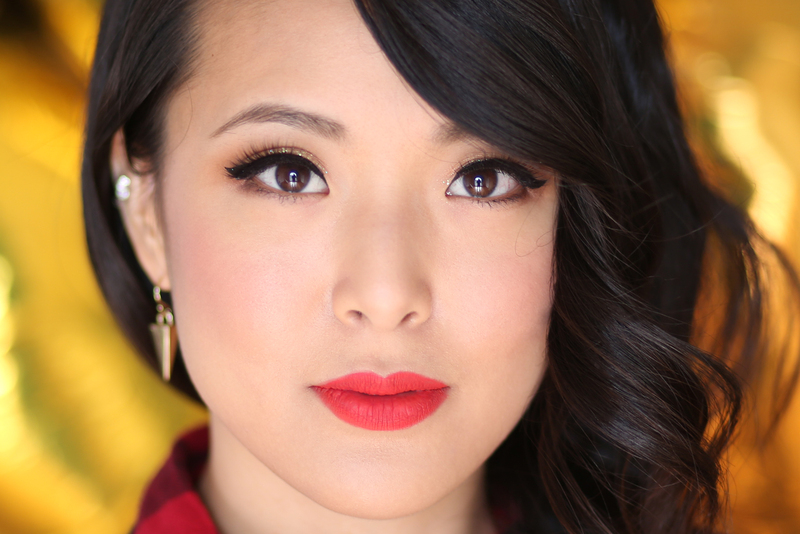 They work to create an elevated, matte bright red which I am totally obsessed with! For hair, I wanted a twist (ba-dum chh!) on a simple side pony with a cute braided wrap. A key point is curling the face-framing layers away from the face to give it a more glamorous look. 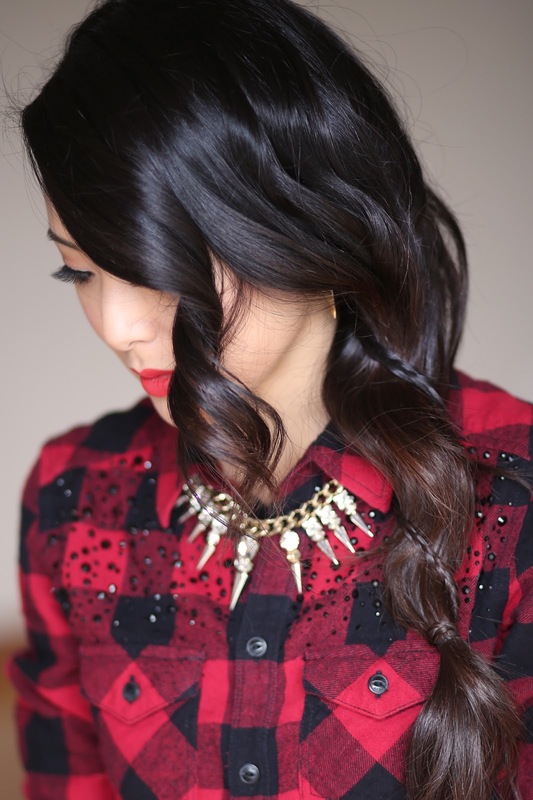 For a more festive look you could also plait a ribbon into the braid so the wrap really stands out. 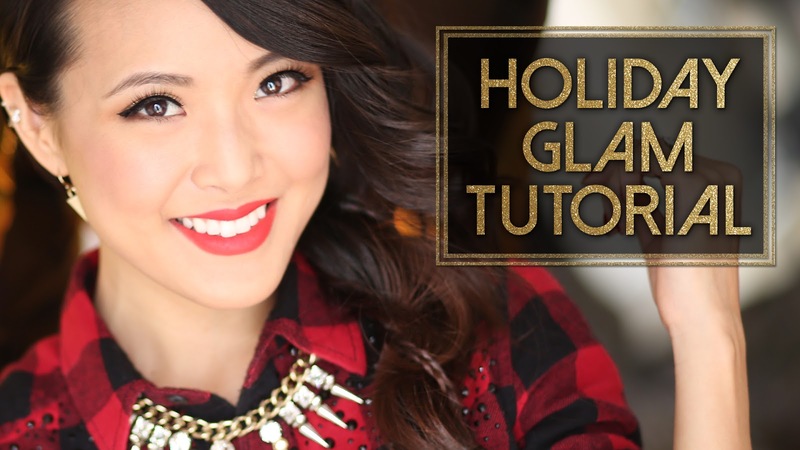 Hope you guys enjoyed this tutorial and I hope you are all having an amazing holiday! Readers, do you have any fun Christmas or holiday plans? What are you doing for your makeup and hair for the season? Let me know in the comments! sorry doublepost: and I really love heavy metal glitter liner from UD! omg,... I wanna know if it's close to something like etude house glitter liner or tony moly glitter line? because I could see UD is more sparky but not too sure about it. Agh, everything from your shadow to your hair and top is seriously perfection! Such a gorgeous look, and I hope that you had a lovely Christmas! I am still using this look, even though it is not the Holidays! Just beautiful! 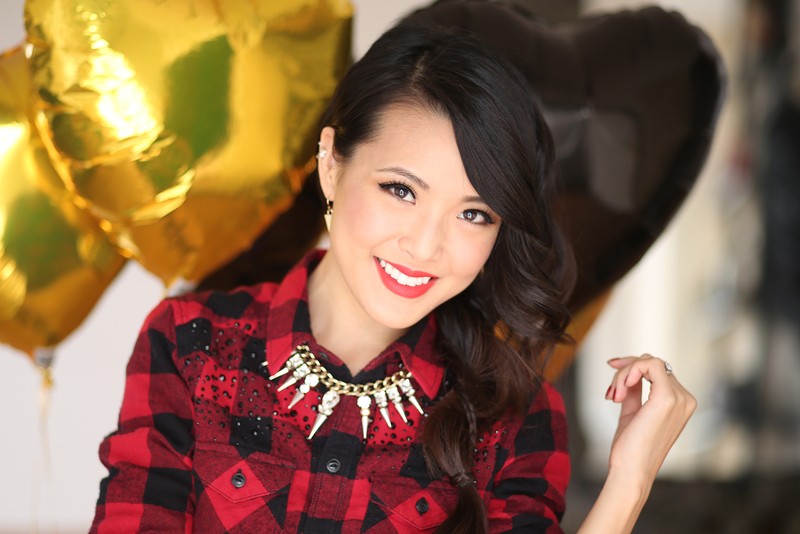 Your hair also looks so cute, I will have to try and recreate the look definitely! Very beautiful hair. Love the wave and color best! All things black hair care!